SEMA is about bringing only the very best under one roof and that’s exactly what custom car shop JH Restorations did this year. Based out of Ontario Canada, the team set on a new challenge to bring the very best not only under one roof, but under the same hood! 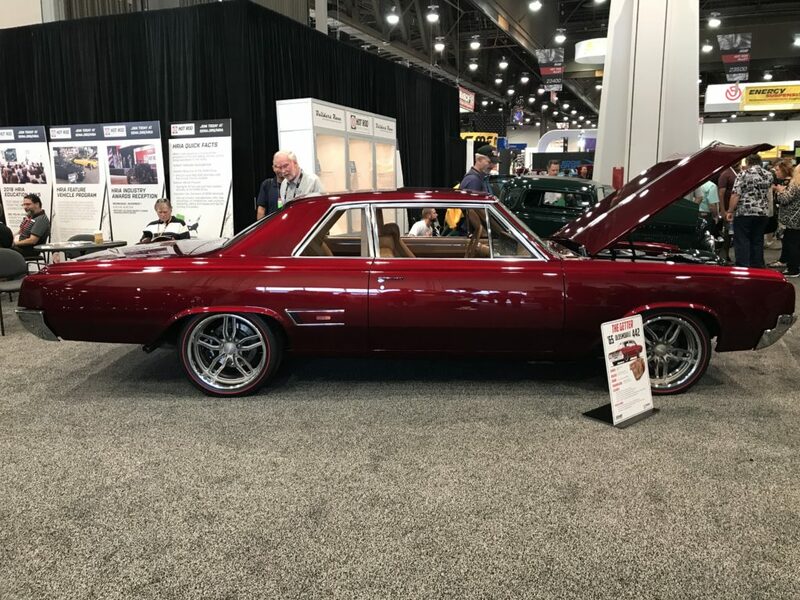 JH Restorations’ “all-American muscle” 1965 Oldsmobile Cutlass certainly didn’t disappoint. 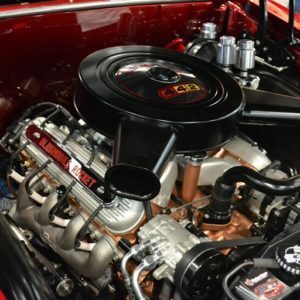 Fully equipped with a 6.0L LS engine, modified to mimic the factory 65’ Oldsmobile 400. 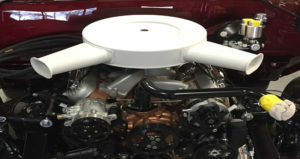 Taking center stage was the Old’s 442 air cleaner that was re-manufactured to fit in suit. With replacement parts for the vehicle extremely difficult to find or to hand fabricate, it was easily re-manufactured with 3D printing. Produced by the folks at Syngergeering Group using more of a more modern-day material with GF-Nylon, not only did it represent esthetically but was completely functional too! 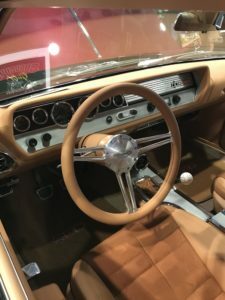 The car also adopted Camaro bucket seats, each with custom trimmed leather. The interior dash bezel and knobs were also re-manufactured and additively manufactured (3D-printed) with Synergeering and later painted. This custom dream car not only impressed in person, but the people behind it did as well! Everyone at JH Restorations was really great to work with and we’re hoping to see more to come! This car was also featured on Velocity as part of their SEMA coverage. Stay tuned in the coming months for the full video on this one!